July 06, 1986, LG Crabo. Idia lubricalis is a common eastern North American Idia that occurs rarely in the Pacific Northwest. 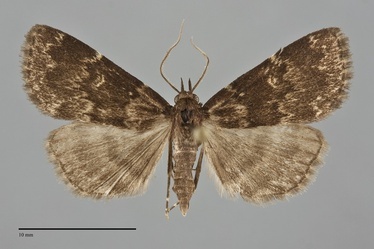 It is small to medium size (FW length 11 - 18 mm) with slightly glossy uniform dark gray-brown forewings traversed by irregular pale tan antemedial, postmedial, and subterminal lines. The orbicular spot is a pale dot and the reniform spot is a dark bar surrounded by a thin pale area. 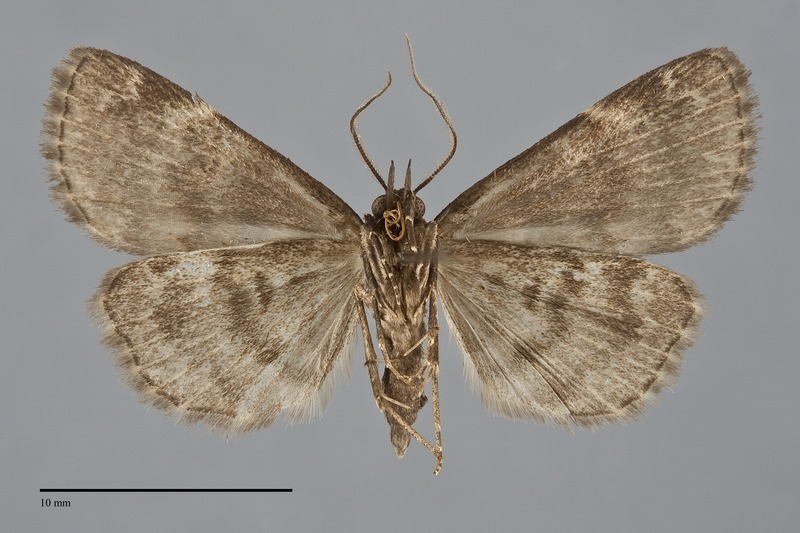 The hindwing appears medium gray with two diffuse lighter bands. Palpi moderately long. Male antenna biciliate; female antenna simple. This species is most similar to Idia occidentalis. This species tends to be larger than I. lubricalis and has light forewings traversed by dark lines, not dark traversed by light lines as in I. lubricalis. This species is widely distibuted across much of North America in relatively warm grassland and woodland habitats. In the Pacific Northwest, it appears to be most common at low elevations in dry open grasslands and open oak woodlands in southwest Oregon. Idia lubricalis has a spotty distribution in our region. It has been collected in southern British Columbia, southern Washington, and southwest Oregon in the Pacific Northwest. This species has a wide distribution in North America. It is widespread in the East. This species is a detritivore feeding on dead leaves and fungi associated with dead wood. Adults have been collected in July and August in our region. They are nocturnal and come to light and sugar baits.